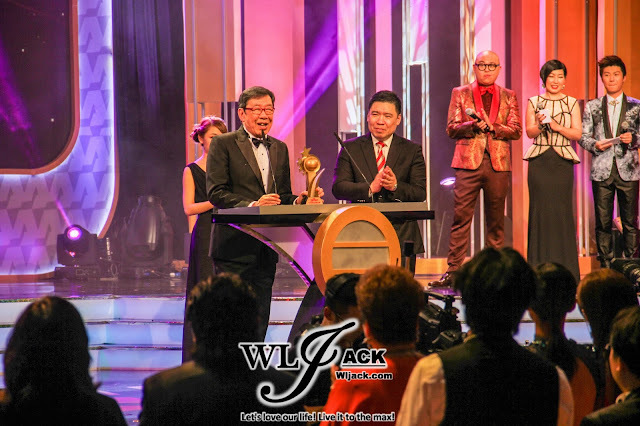 Kuala Lumpur, November 2015 – One of the most anticipated awards show in Malaysia which has always been viewed as a prelude to TV Awards Presentation of TVB (万千星辉颁奖典礼) , TVB Star Awards Malaysia 2015 馬來西亞星光薈萃頒獎典禮2015 has been held successfully at Arena Of Star, Resort World Genting, Malaysia yesterday (28th November 2015). Co-organized by TVB 娱乐新闻台 and Astro, supported by official radio station partners MY FM & MELODY FM, all of us get to witness our favourite actors and actresses getting the awards they deserved. 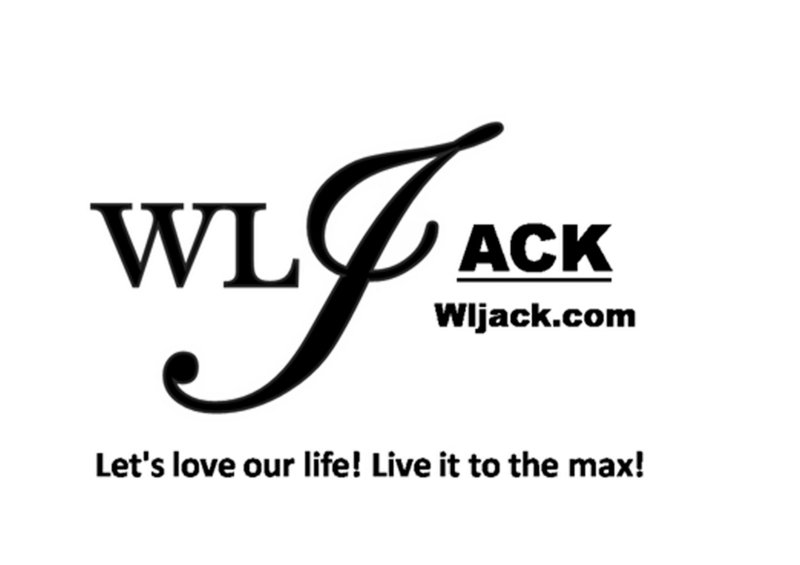 Our team from wljack.com and loong-updates.blogspot.com have been given the golden opportunity to do the coverage on the event. Voted Through Apps For Your Favourite Idol! The theme of the awards show this year was “爱要喊出来，呼唤你的剧集之神”. Over the past two months, there are many promotional activities featuring meet and greet sessions with the TVB artistes that have been held in Malaysia. This year, the winners are voted through a smart-phone tablets based apps which allowed the fans to vote for their idols with the touch of their fingers. Over the period from 16th October 2015 until 21st November 2015, the number of votes have reached up until above 300,000 votes, which was twice the number as compared to last year. The awards selection was based on 70% voting from the Malaysian audiences while 30% was from the professional judges. Thus, the awards were presented to the well-deserved winners in a fair and square manner. Glittering Night with all idols! 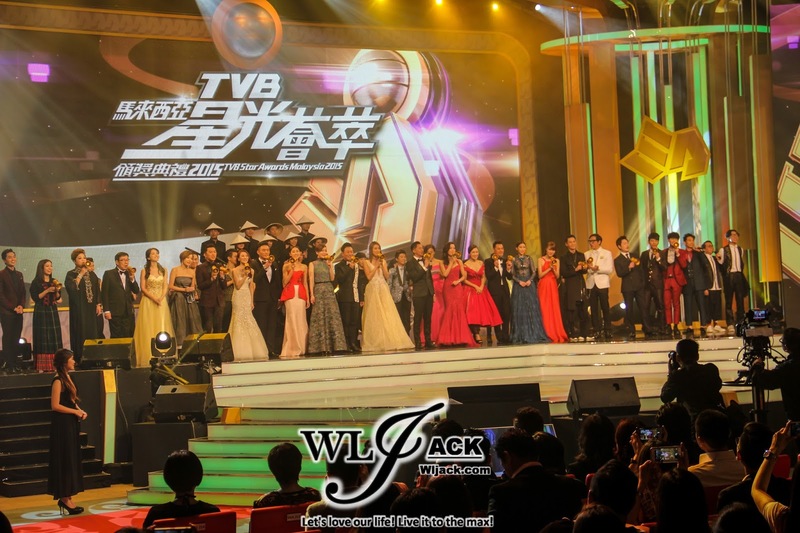 TVB Star Awards Malaysia 2015 was attended by many well-known artistes from TVB in glittering attires. All of the lucky audiences in Malaysia were able to get a glimpse of their favourite idols in this very one night itself. Besides the artistes, the awards show has also invited a few special guest performers including Fred Cheng, Alfred Hui, Hubert Hu, Jinny Ng, Stephanie Ho, FAMA, Maria Cordero and also our very own Malaysian singer Shila Amzah. Biggest Surprise of the night: Double Winners For My Favourite TVB Actress in a Leading Role最喜爱TVB女主角! Nancy Wu and Kristal Tin! This was by far one of the biggest surprise of the night, with the announcement of two winners in the category of My Favourite TVB Actress in A Leading Role! 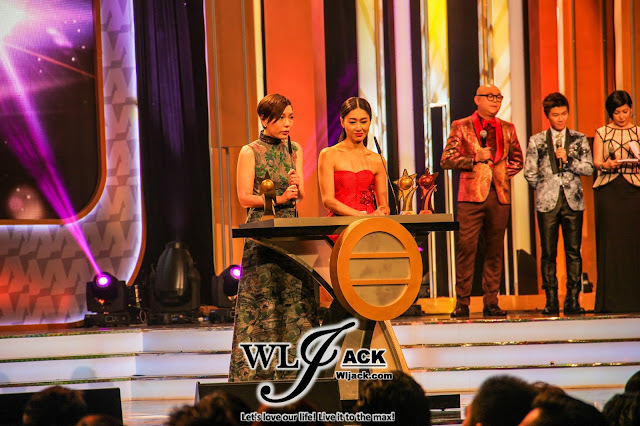 The awards was won by the duo of Nancy Wu and Kristal Tin who have done an exceptionally great job in the drama of Ghost Of Relativity. When the drama was broadcasted, they have received many positive remarks over their performance of “lip sync” and “mimicry” in one of the scene. Their tempos were blended very well during that specific scene. Since then many people have high hopes on both of them in winning something great in the awards show. Prior to the announcement, the awards hosts teased the audiences with a hinting slideshow on the screen showing the dialogue which was said by both of them during the “lip sync” scene. Thus, it creates more tension and anxiety moments for both of them and all their supporters as everyone was wondering who would be the winner. They first announced the name “Kristal Tin” and then the name “Nancy Wu” in around 10 second after that. It was a very surprising moment. Both of them have shared some heartfelt speeches on the stage. “Actually when I first entered into the industry, I started up as a singer. But since I first started in acting, I never stopped acting over the past 13 years. Thanks everyone for the support!” said Nancy Wu. “I have also entered into this industry for 20 years.” Said Kristal Tin. She also mentioned that she was very worried that Nancy might not be happy if she (Kristal) was announced as the winner. But she also worried that she herself might be disappointed if she could not win it. Such a dilemma. Kristal also thanked her husband Chapman To for all of the support all these while. Ruco Chan, The King of Actor 2015 for TVB Star Awards Malaysia 2015! 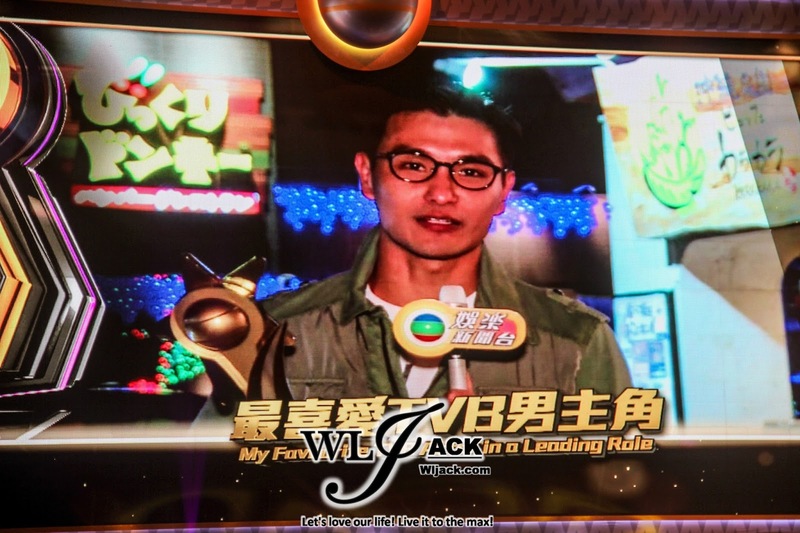 During all these while, some of the most hit candidates for winning My Favourite TVB Actor In A Leading Role as mentioned in many platforms of media include Ruco Chan, Wayne Lai and Anthony Wong. However, it turned out that in Malaysia, the top three finalists ended up to be Louis Cheung, Ruco Chan and Tony Hung. 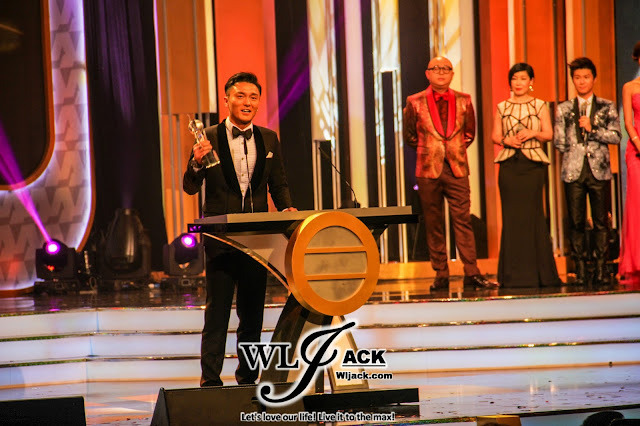 Nonetheless, Ruco Chan triumphed as the winner for this category and is the King Of Actor in Malaysia region. Will he be the winner as well in the upcoming awards show in Hong Kong? Let’s look forward for it. 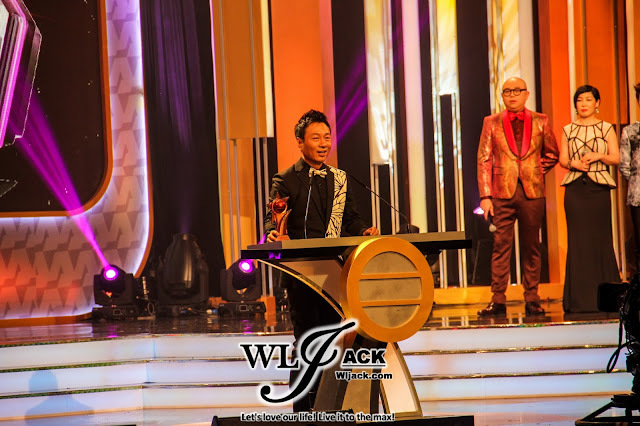 Due to the filming of Brother's Keeper 2, Ruco could not attend the award show in Malaysia. However, the crews from the awards show have visited him and passed the awards trophy to him. He thanked a lot of people during his speech including the Malaysian fans. The most notable thanks he gave was to both of his grandparents who were from Malaysia. Announcement Of My Favourite TVB Actors & Actresses in a Supporting Role via Bahasa Malaysia! The awards show this year was a bit different from the usual ones in the past. This time, they have added in some Malaysia cultures during the awards show. 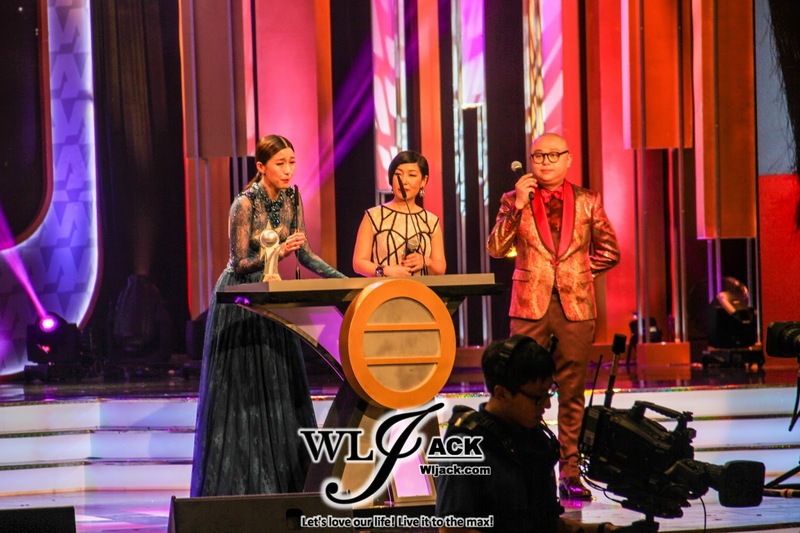 One of it was by announcing the winners via Bahasa Malaysia during the category of Best Supporting roles. Plus, it was actually presented by Malaysian singer, Shila Amzah. The winner for My Favourite TVB Actor was Benjamin Yuen. 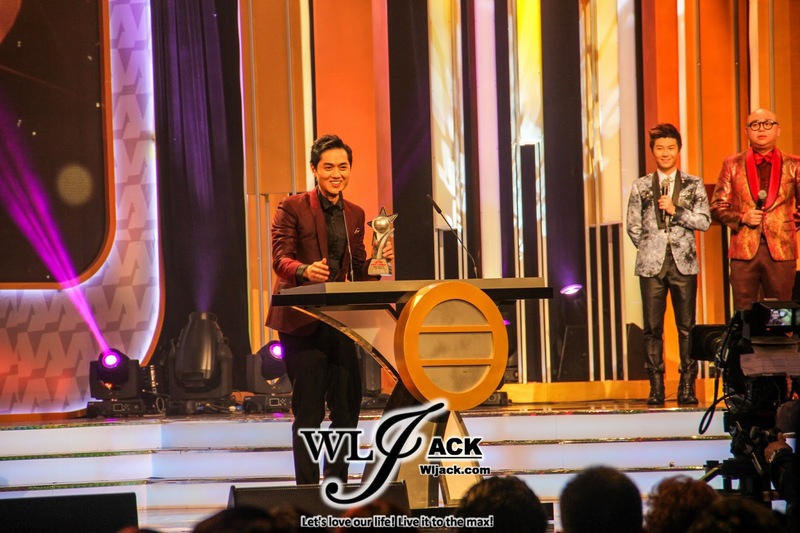 He grabbed away the award from Mat Yeung and Louis Cheung who were also the TOP 3 finalists for the category. It was a very funny moment because Louis Cheung was actually nominated in both the category of Supporting Role as well as the Leading Role. But Louis Cheung said he aimed for the Leading Role. 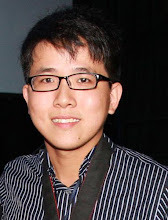 Benjamin Yuen has thanked many people for their support all the time. Last but not least, he also thanked Jennifer which he mentioned as最亲密的人 (the beloved one). Such a sweet thank speech! One of the most emotional moment during the show was when Elaine Yiu was announced as My Favourite TVB Actress in A Supporting Role. All of her friends were basically crying for her in joy as they saw her won the awards. “I want to thank everyone for giving me this award. It has been 13 years since I last got my award. I am very thankful for that!” said Elaine. My Favourite TVB on Screen Couple Winners, Edwin Siu and Priscilla Wong! Such a prank moment! During the presentation for winner of “My Favourite TVB On Screen Couple Winners”, Priscilla Wong was actually the presenter for the award. As they announced the winner, she was surprised to know that the final winner was actually her and Edwin Siu. It was a very funny moment but both of them indeed received a lot of affection from the fans due to their chemistry and bonding both in the drama and in real life! Sadly, Edwin Siu was busy filming a drama. If not, it would be nice to see both of them receiving the awards on stage. My Favourite TVB Most Improved Actor and Actress! The winners for these category were Mat Yeung and Tracy Chu. Mat Yeung mentioned on stage that he has actually been acting for many years. In fact, he was actually from the same batch of acting class with Tavia Yeung. He thanked Tavia for her help in the drama of Momentary Lapse of Reason. TVB Star Achievement Award TVB星光成就大奖：Bowie Wu胡枫! TVB Star Achievement Award this year was won by Bowie Wu, a veteran actor which I am sure every TVB Fans were familiar with. He is currently 80+ years old but he is still a very happy-go-lucky TVB Drama activist. A very well deserved awards for him! Congratulations! The biggest winner of the night was “Captain Of Destiny”! The pirate drama series Captain Of Destiny was the biggest winner of the night as they grabbed away three awards My Favourite TVB Drama Series, My Favourite Male Actor in Leading Role and My Favourite TVB Drama Theme Song. Other than awards show, there were quite a number of singing performances during the night. Some of the most notable one include the opening of the show Starry Night which was quite catchy, Maria Cordero spectacular performance of TVB Medley plus Rasa Sayang as well as Shila Amzah’s mesmerizing performance. Fred Cheng, Alfred Hui, Hubert Hu, Jinny Ng, Stephanie Ho have also stood on stage singing their respective theme songs for the TVB Series this year. Other Notable Mentions Of The Show! Him Law seems to have a large fans base in Malaysia. 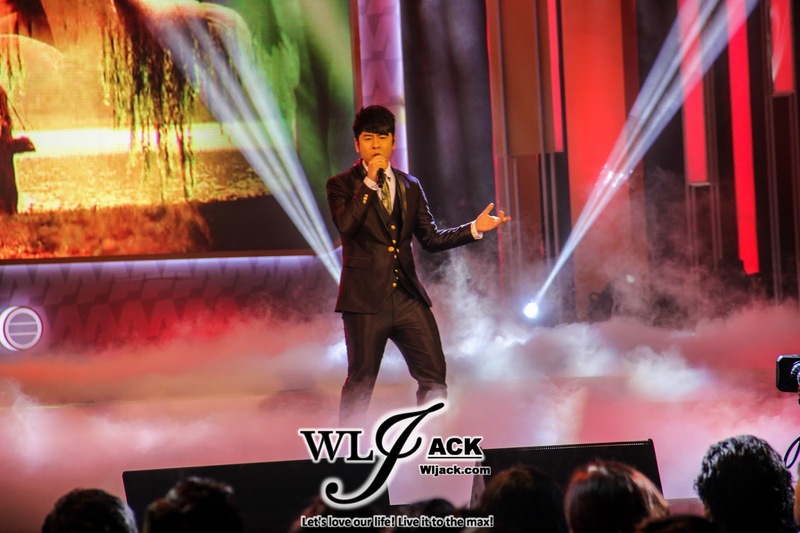 His name was being shouted and screamed by his fans every time during commercial breaks. 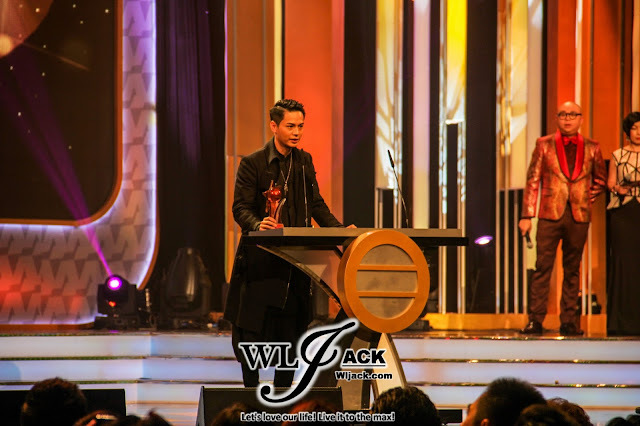 Wayne Lai thanked all the fans for voting for him. He can’t believe that his villainous role could earn enough likings from fans for giving him a prize. Kristal Tin and Nancy Wu have performed their singing on stage and proved to us that they actually do have talents in that field which they first started off. 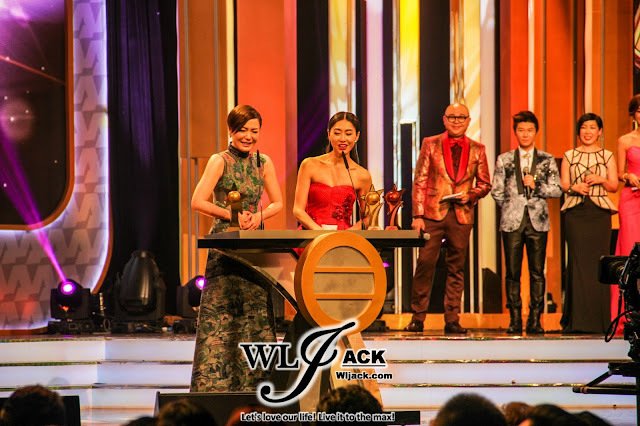 Wellness On The Go 3 has won the award of “My Favourite TVB Enrichment Program” again. They will launch their fourth season again next year! Linda Chung mentioned that her role in Limelight Years was her most favourite role ever. BOB crossdressed again this year and acting as imposter for Maria Cordero. It’s a very funny moment as he came out to perform. After the show, all of us media members have been given a chance to interview the artistes post-awards show. The coverage of the press conference will be up soon. Stay tuned!